How fitting that this infographic outlines 13 projects for you to complete, what with Halloween right around the corner and all! The first item, aerating and fertilizing, is a really key task. You want a gorgeous green lawn come spring right? Well it doesn’t take much, but with it getting colder each day we advise you do this soon – learn how to here. And cleaning your gutters is fairly simple, yet really beneficial. Our latest post outlines how to effectively complete this to-do item. And all the remaining projects will be covered in upcoming posts, so be on the look out! 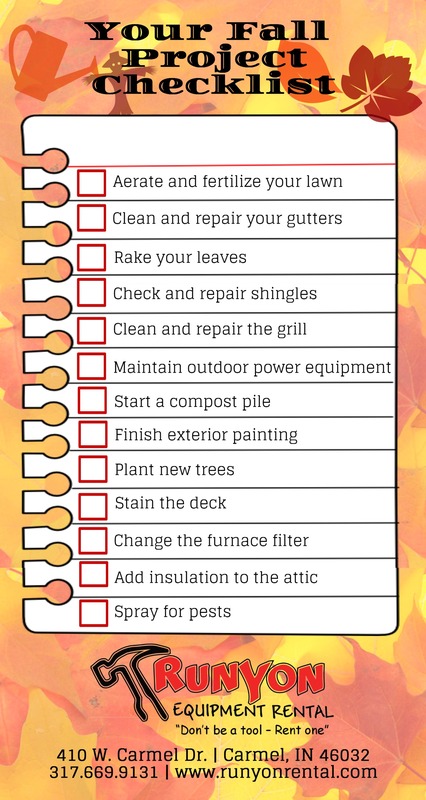 Now, although most of these tasks are outdoor-related, there are smaller indoor to-dos that will be covered in a future post as well. This may seem like a lot, but these weekend projects can be knocked out really easily and are worth the effort because it will leave you with less spring cleaning. Not to mention, a lot of these will ensure a warm and cozy winter.